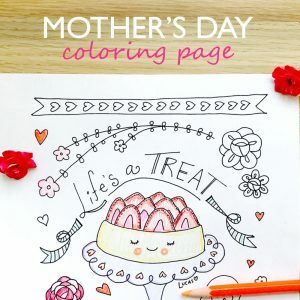 Hi Moms, I created this instant valentine coloring page just for you! 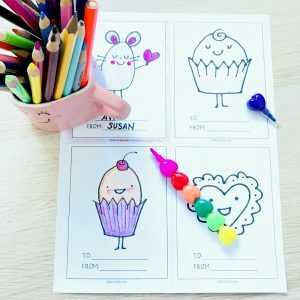 All you need to do is download the PDF, print it out, and have your children spend some quality creative time decorating the designs! Download this *VALENTINE COLORING SHEET* PDF and print it as many times as you wish. 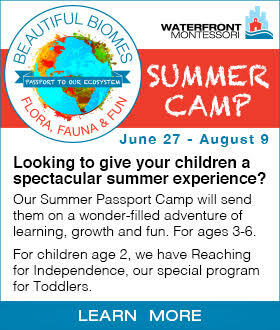 Have your children color each design with crayons, colored pencils and markers. 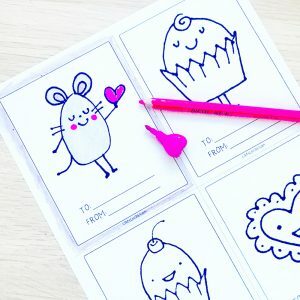 I used these super cute heart crayons from OOLY. 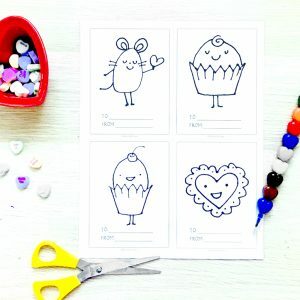 For younger children, I would suggest they color all four designs first, then cut on the lines to create all four cards. 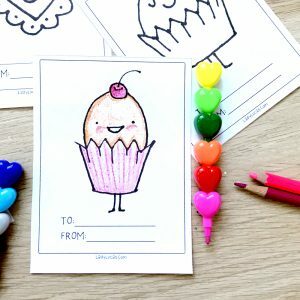 Older children (6+) can cut the cards out first and then decide how they wish to decorate them. 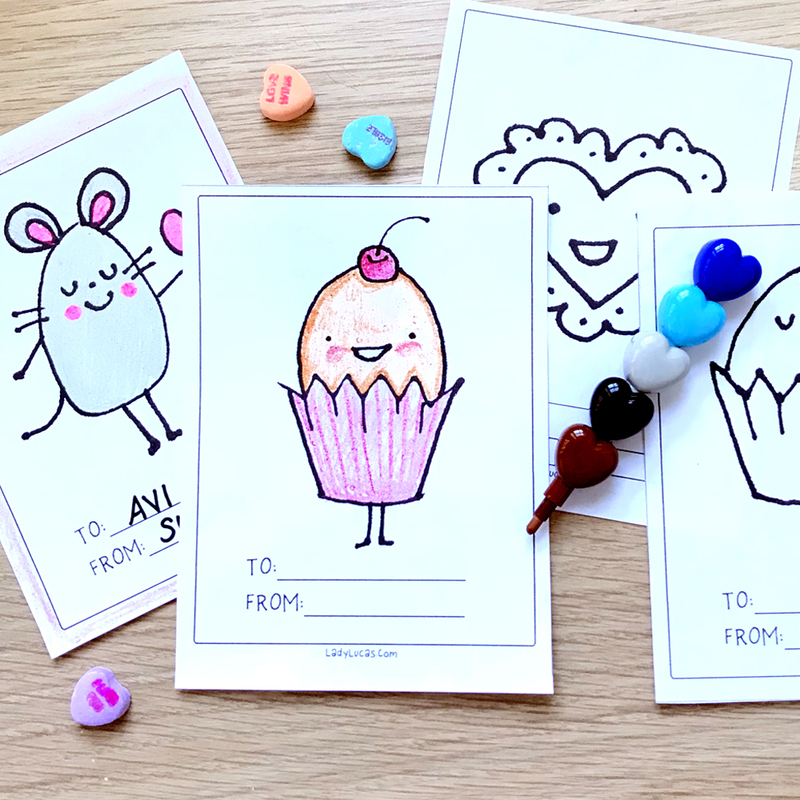 Give the cards to friends as they are, or add them in an envelope with heart confetti. 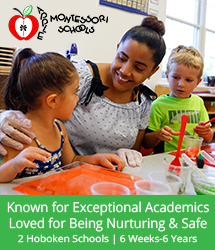 This is a great, easy valentine gift for grandparents, care givers and teachers this week! Ashley Lucas (aka Lady Lucas) is an artist, illustrator, author and crafts designer. 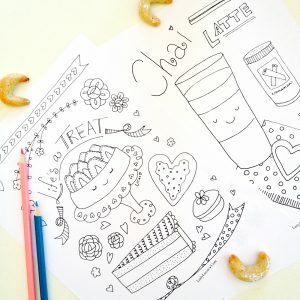 Her adorable characters can be found online in her Etsy shop (which highlights instant coloring books & party crafts). 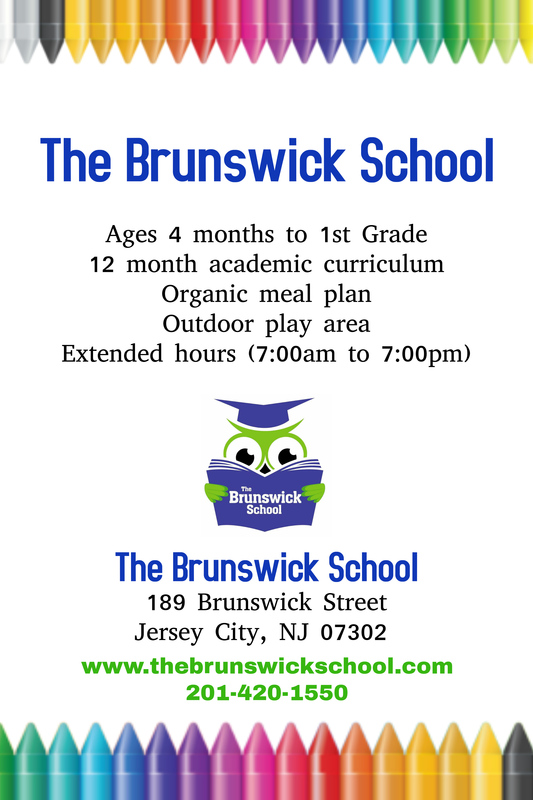 She offers bespoke, private art lessons to children in Jersey City and Hoboken ages 4 – 12 years. 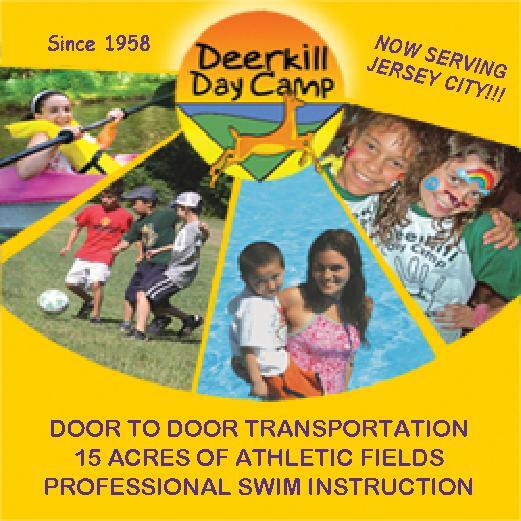 This past weekend I offered summer themed coloring pages to the children at the Jersey City Summer Camp Festival, and realized the moms were just as eager to enjoy some coloring. 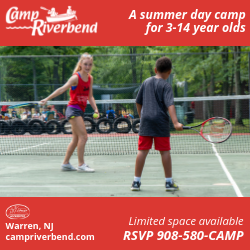 So moms – this is for you! 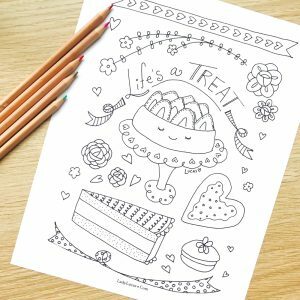 Simply download this adorable coloring page and relax. 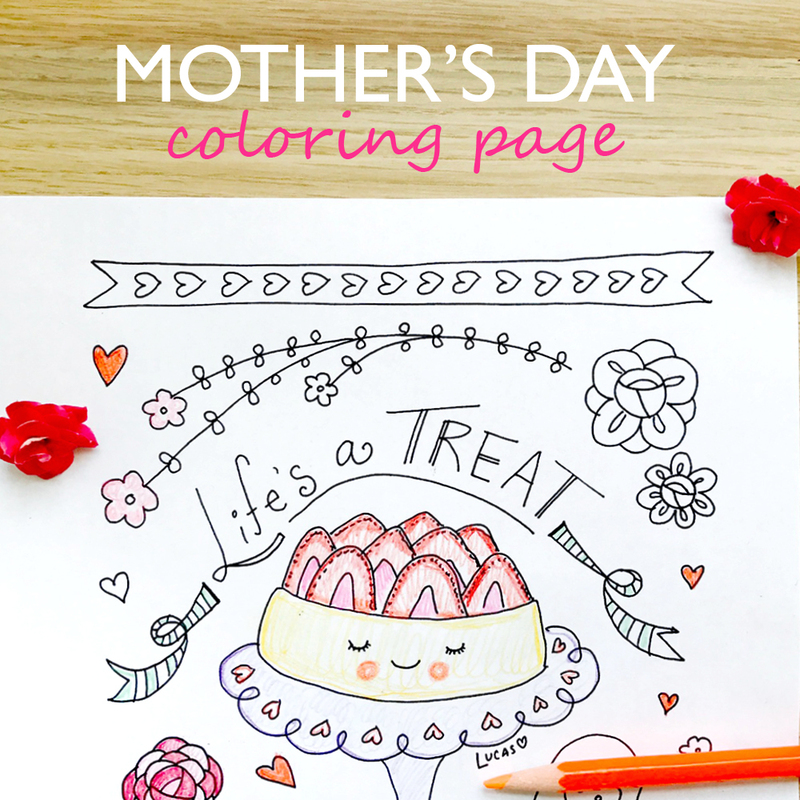 Step 1 Download this Mothers Day Coloring Page from my ‘Tea Time Coloring Book‘. Print it as many times as you wish for personal use. 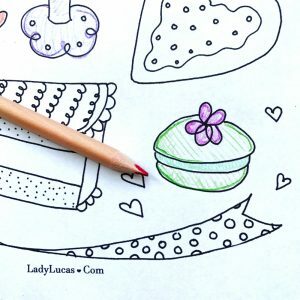 Step 2 Use colored pencils or thin tipped markers to color all the details. 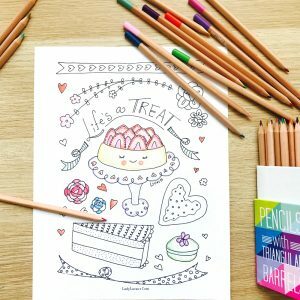 If you’d like a wide array of colors to choose from, OOLY and Crayola both offer great coloring pencil sets, as well as the generic packs of pencils available at Michael’s craft store. Ashley Lucas (aka Lady Lucas) is an artist, illustrator, author and crafts designer. Her adorable characters can be found online via her website and Etsy shop. 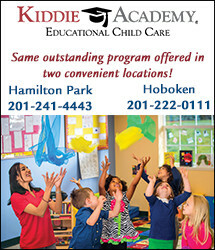 She offers private art lessons to children in Jersey City and Hoboken ages 4 – 12 years.